In a society where adornment and clothing are minimal, body painting serves as an important form of creative expression. 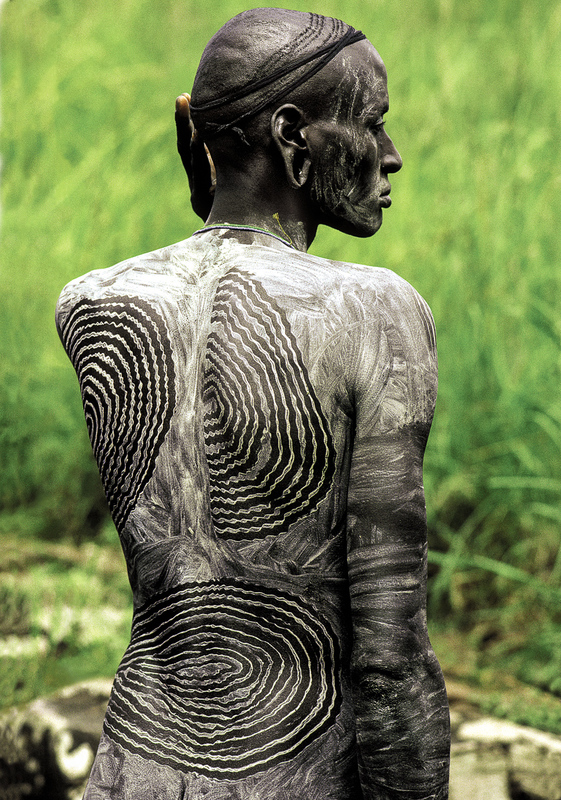 The Surma see their bodies as a canvas on which they can express themselves. The pattern of concentric circles on this manâs back matches the delicate design of his newly shaven head.